Watch UEFA Champions League final online. The UEFA Champions League, or Champions League, is an annually organised continental club football competition by the Union of European Football Associations (UEFA). It is often considered one of the most prestigious competitions in the world and the premier club competition in European football. The tournament consists of the national league champions of each UEFA national association. To date, the most watch final was the final of the 2012–13 tournament. It was also the most watched annual worldwide sporting event in 2013, drawing an estimate of 360 million television viewers! Having won the tournament a total of ten times, including its first five seasons, Real Madrid is the most successful club in the tournament. Overall, Spanish clubs have accumulated the highest number of victories (14 wins in total), followed closely by England and Italy (12 wins each). 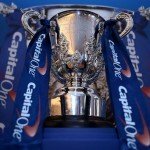 Throughout its history, the competition has been won by 22 different clubs, with 12 of them winning it more than once. Since the tournament’s change of name and structure in 1992, no club has managed consecutive wins. In the 1989–90 season, AC Milan were the final holders to successfully defend the title. The current champions are Real Madrid, who successfully secured their tenth win in the competition by defeating Atlético Madrid 4–1 in the 2014 Final. 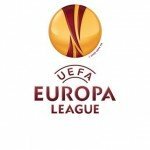 With the 2015–16 season, the champions of the UEFA Europa League will be brought into the Champions League, initially at the playoff level which will ensure group stage participation in either competition. There’s also been an increase from four to five maximum teams that an association can field in the tournament. The 2015 finals will take place at the Olympiastadion in Berlin. *Please note that kick off time will vary depending on what time zone you’re located in. The final will be broadcast LIVE on ITV Player, be sure to stream it like you mean it with SimpleTelly! Don’t forget that you can sign up for our TWO WEEK free trial, unblock ITV with SimpleTelly!